“Bolívar” redirects here. For other uses, see Bolívar (disambiguation) and Simón Bolívar (disambiguation). The Bolívars settled in Venezuela in the 16th century. Bolívar’s first South American ancestor was Simón de Bolívar (or Simon de Bolibar; the spelling was not standardized until the 19th century), who lived and worked in Santo Domingo (the present-day Dominican Republic) from 1559 to 1560 and where his son Simón de Bolívar y Castro was born. When the governor was reassigned to Venezuela by the Spanish Crown in 1569, Simón de Bolívar went with him. As an early settler in Spain’s Venezuela Province, he became prominent in the local society, and he and his descendants were granted estates, encomiendas, and positions in the local cabildo. When Caracas Cathedral was built in 1569, the Bolívar family had one of the first dedicated side chapels. The majority of the wealth of Simón de Bolívar’s descendants came from the estates. The most important was a sugar plantation with an encomienda that provided the labor needed to run the estate. Another portion of the Bolívars’ wealth came from silver, gold, and copper mines. Small gold deposits were first mined in Venezuela in 1669, leading to the discovery of much more extensive copper deposits. From his mother’s side (the Palacios family), Bolívar inherited the Aroa copper mines at Cocorote. Native American and African slaves provided the majority of the labor in these mines. Toward the end of the 17th century, copper mining became so prominent in Venezuela that the metal became known as cobre Caracas (“Caracas copper”). Many of the mines became the property of the Bolívar family. Bolívar’s grandfather, Juan de Bolívar y Martínez de Villegas, paid 22,000 ducats to the monastery at Santa Maria de Montserrat in 1728 for a title of nobility that had been granted by King Philip V of Spain for its maintenance. The crown never issued the patent of nobility, and so the purchase became the subject of lawsuits that were still in progress during Bolívar’s lifetime, when independence from Spain made the point moot. (If the lawsuits had been successful, Bolívar’s older brother, Juan Vicente, would have become the Marquess of San Luis and Viscount of Cocorote.) Bolívar ultimately devoted his personal fortune to the revolution. Having been one of the wealthiest persons within the Spanish American world at the beginning of the revolution, he died in poverty. When Bolívar was an infant, he was cared for by Doña Ines Manceba de Miyares and the family’s slave, Hipólita. A couple of years later, he returned to the care of his parents, but this experience would have a major effect on his life. His father died before Bolívar’s third birthday to Tuberculosis, and his mother died when he was almost nine. After his mother’s death, Bolívar was placed in the custody of an instructor, Miguel José Sanz, but this relationship did not work out and he was sent back home. He went on to receive private lessons from the renowned professors Andrés Bello, Guillermo Pelgrón, Jose Antonio Negrete, Fernando Vides, Father Andújar, and Don Simón Rodríguez, formerly known as Simón Carreño. Don Simón Rodríguez became Bolívar’s teacher, friend and mentor. He taught him how to swim and ride horses, as well as about liberty, human rights, politics, history, and sociology. Later in life, Rodríguez was pivotal in Bolívar’s decision to start the revolution, instilling in him the ideas of liberty, enlightenment, and freedom. In the meantime, Bolívar was mostly cared for by his nurse, the slave Hipólita, whom he later called “the only mother I have known”. Miranda saw the republican cause as lost and signed a capitulation agreement with Monteverde on 25 July, an action that Bolívar and other revolutionary officers deemed treasonous. In one of Bolívar’s most morally dubious acts, he and others arrested Miranda and handed him over to the Spanish Royal Army at the port of La Guaira. For his apparent services to the Royalist cause, Monteverde granted Bolívar a passport, and Bolívar left for Curaçao on 27 August. It must be said, though, that Bolívar protested to the Spanish authorities about the reasons why he handled Miranda, insisting that he was not lending a service to the Crown but punishing a defector. In 1813, he was given a military command in Tunja, New Granada (modern-day Colombia), under the direction of the Congress of United Provinces of New Granada, which had formed out of the juntas established in 1810. This was the beginning of the Admirable Campaign. On 24 May, Bolívar entered Mérida, where he was proclaimed El Libertador (“The Liberator”). This was followed by the occupation of Trujillo on 9 June. Six days later, and as a result of Spanish massacres on independence supporters, Bolívar dictated his famous “Decree of War to the Death“, allowing the killing of any Spaniard not actively supporting independence. Caracas was retaken on 6 August 1813, and Bolívar was ratified as El Libertador, establishing the Second Republic of Venezuela. The following year, because of the rebellion of José Tomás Boves and the fall of the republic, Bolívar returned to New Granada, where he commanded a force for the United Provinces. Bolívar followed with the Battle of Bombona and the Battle of Pichincha, after which he entered Quito on 16 June 1822.:287 On 26 and 27 July 1822, Bolívar held the Guayaquil Conference with the Argentine General José de San Martín, who had received the title of “Protector of Peruvian Freedom” in August 1821 after partially liberating Peru from the Spanish. :295 Thereafter, Bolívar took over the task of fully liberating Peru. Bolívar achievements in Peru had been as staggering as any in his career of a year, from holding a strip of the country’s north coast while himself nearly moribund, he and Sucre had taken on and defeated an army of 18,000 men and secured a country the size of nearly all of Western Europe…the investment of personal energy, the distances covered and the four army expeditions across supposedly impassable mountain ranges had qualified him for superhuman status…His stamina and military achievements put him at the forefront of the global heroes of history. Even though Bolívar condemned the corrupt practices of the Spanish, he ordered some churches being stripped of their decorations. On 19 March 1824, José Gabriel Pérez wrote to Antonio José de Sucre about the orders given to him by Bolívar; Pérez talked about “all the ordinary and extraordinary means” that should be applied to assure the subsistence of the patriot army. Indeed, Pérez said that Bolívar issued instructions to take from churches “all golden and silver jewels” in order to coin them and pay war expenditures. Days later, Bolívar himself said to Sucre that there would be a complete lack of resources, unless severe actions would be taken against “the jewels of the churches, everywhere”. Two months after the failure of this congress to write a new constitution, Bolívar was declared president-liberator in Colombia’s “Organic Decree”. :394 He considered this a temporary measure, as a means to reestablish his authority and save the republic, although it increased dissatisfaction and anger among his political opponents. :408 An assassination attempt on 25 September 1828 failed (in Spanish it is indeed known as the Noche Septembrina), thanks to the help of his lover, Manuela Sáenz. :399–405 Bolívar afterward described Manuela as “Liberatrix of the Liberator”. :403 Dissent continued, and uprisings occurred in New Granada, Venezuela, and Ecuador during the next two years. Bolivar initially tried to forgive those who were considered conspirators, members of the “Santander” faction. Eventually it was decided to submit them to martial justice, after which those accused of being directly involved were executed, some without having their guilt fully established. 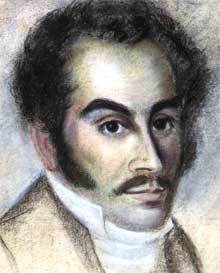 Santander, who had known in advance of the conspiracy and had not directly opposed it because of his differences with Bolivar, was condemned to death. Bolivar, though, commuted the sentence. After the facts, Bolivar continued to govern in a rarefied environment, cornered by fractional disputes. Uprisings occurred in New Granada, Venezuela, and Ecuador during the following two years. The separatists accused him of betraying republican principles and of wanting to establish a permanent dictatorship. Gran Colombia declared war against Peru when president General La Mar invaded Guayaquil. He was later defeated by Marshall Antonio José de Sucre in the , 27 February 1829. Sucre was killed on 4 June 1830. General Juan José Flores wanted to separate the southern departments (Quito, Guayaquil, and Azuay), known as the District of Ecuador, from Gran Colombia to form an independent country and become its first President. Venezuela was proclaimed independent on 13 January 1830 and José Antonio Páez maintained the presidency of that country, banishing Bolivar. Do not be deceived, Colombians! My only desire has been to contribute to your freedom and to be the preservation of your peace of mind. If for this I am held guilty, I deserve your censure more than any man. Do not listen, I beg you, to the vile slander and the tawdry envy stirring up discord on all sides. Will you allow yourself to be deceived by the false accusations of my detractors? Please don’t be foolish! Colombians! Gather around the constitutional congress. It represents the wisdom of the nation, the legitimate hope of the people, and the final point of reunion of the patriots. Its sovereign decrees will determine our lives, the happiness of the Republic, and the glory of Colombia. If dire circumstances should cause you to abandon it, there will be no health for the country, and you will drown in the ocean of anarchy, leaving as your children’s legacy nothing but crime, blood, and death. Bolívar ultimately failed in his attempt to prevent the collapse of the union. Gran Colombia was dissolved later that year and was replaced by the republics of Venezuela, New Granada, and Ecuador. Ironically, these countries were established as centralist nations, and would be governed for decades this way by leaders who, during Bolívar’s last years, had accused him of betraying republican principles and of wanting to establish a permanent dictatorship. These separatists, among them José Antonio Páez and Francisco de Paula Santander, had justified their opposition to Bolívar for this reason and publicly denounced him as a monarch. Some of them had in the past been accused of plotting against Bolívar’s life (Santander, who governed the second centralist government of New Granada, was associated with the September Conspiracy). Saying that “all who served the revolution have plowed the sea”,:450 Bolívar finally resigned the presidency on 27 April 1830, intending to leave the country for exile in Europe. :435 He had already sent several crates containing his belongings and writings ahead of him to Europe, but he died before setting sail from Cartagena. On 17 December 1830, at the age of 47, Simón Bolívar died of tuberculosis in the Quinta de San Pedro Alejandrino in Santa Marta, Gran Colombia (now Colombia). On his deathbed, Bolívar asked his aide-de-camp, General Daniel F. O’Leary, to burn the remaining extensive archive of his writings, letters, and speeches. O’Leary disobeyed the order and his writings survived, providing historians with a wealth of information about Bolívar’s liberal philosophy and thought, as well as details of his personal life, such as his long love affair with Manuela Sáenz. Shortly before her own death in 1856, Sáenz augmented this collection by giving O’Leary her own letters from Bolívar. Bolívar’s remains were buried in the cathedral of Santa Marta. Twelve years later, in 1842, at the request of President José Antonio Páez, they were moved from Santa Marta to Caracas, where they were buried in the cathedral of Caracas together with the remains of his wife and parents. In 1876, he was moved to a monument set up for his interment at the National Pantheon of Venezuela. The Quinta near Santa Marta has been preserved as a museum with numerous references to his life. In 2010, symbolic remains of Bolívar’s later-years lover, Manuela Sáenz, were also interred in Venezuela’s National Pantheon. On January 2008, then-President of Venezuela Hugo Chávez set up a commission to investigate theories that Bolívar was the victim of an assassination. On several occasions, Chávez has claimed that Bolívar was in fact poisoned by “New Granada traitors”. In April 2010, infectious diseases specialist Paul Auwaerter studied records of Bolívar’s symptoms and concluded that he might have suffered from chronic arsenic poisoning, but that both acute poisoning and murder were unlikely. In July 2010, Bolívar’s body was ordered to be exhumed to advance the investigations. In July 2011, international forensics experts released their report, claiming there was no proof of poisoning or any other unnatural cause of death. It is well known that Bolívar had several love affairs during his lifetime; most of them were ephemeral and did not last long. 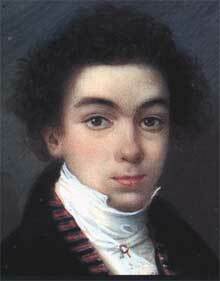 One of them were during his presence in Europe, after his marriage that ended in 1803. Historians, scholars and biographers often agree with the names of the most prominent women who stood with Bolívar, either at war or at peace: Josefina “Pepita” Machado, Fanny du Villars and Manuela Sáenz. Manuela Sáenz was the most important of those women, mainly because she was Bolívar’s lover in later life during his presidency in Gran Colombia, but also due the fact that she became a trustworthy confidant and advisor. Moreover, Manuela saved Bolívar’s life during the September Conspiracy of 1828, in which the Libertador was close to being killed in Bogotá. That is, Manuela managed to divert the assassins by urging Simón to leap through the window thus giving Bolívar time to escape from his room safely. Bolívar and Manuela met in Quito, on 22 June 1822. They had a long-term relationship that was controversial at the time due the fact that Manuela was already married to James Thorne although she had been estranged from him since 1822 because of their irreconcilable differences . Thus Manuela was emotionally tied to Bolívar, whose death in 1830 made her try to commit suicide when she learned of the Libertador’s physical disappearance. In his Memoirs of Simón Bolívar, Henri La Fayette Villaume Ducoudray Holstein (who himself has been called a “not-always-reliable and never impartial witness”) described the young Bolívar as he was attempting to seize power in Venezuela and New Granada in 1814–1816. Ducoudray Holstein joined Bolívar and served on his staff as an officer during this period. In an unsympathetic biography titled Bolívar y Ponte, Simón, published in the New American Cyclopedia, Karl Marx criticized much of Bolívar’s life. Marx begins by saying that Bolívar was born to a family of “creole nobility in Venezuela” and that similar to the “custom of wealthy Americans of those times, at the early age of 14 he was sent to Europe”. At several points in Marx’s piece, he complains that Bolívar abandoned his troops multiple times. Marx also explains how Bolívar had to be persuaded by his cousin Ribas to return to fight against the Spanish after staying at Cartagena. Marx then explains that after arriving in Caracas in 1813, Bolívar’s “dictatorship soon proved a military anarchy, leaving the most important affairs in the hands of favorites, who squandered the finances of the country, and then resorted to odious means in order to restore them”. At the conclusion of the biography, Marx uses Ducoudray Holstein’s description of Bolívar. According to Beddow and Thibodeaux, Marx dismissed Bolívar as a “falsifier, deserter, conspirator, liar, coward and looter”, and a “false liberator who merely sought to preserve the power of the old Creole nobility to which he belonged”. Bolívar had no children, possibly because of infertility caused by having contracted measles and mumps as a child. His closest living relatives descend from his sisters and brother. One of his sisters died in infancy. His sister Juana Bolívar y Palacios married their maternal uncle, Dionisio Palacios y Blanco, and had two children, Guillermo and Benigna. Guillermo Palacios died fighting alongside his uncle Simón in the battle of La Hogaza on 2 December 1817. Benigna had two marriages, the first to Pedro Briceño Méndez and the second to Pedro Amestoy. Their great-grandchildren, Bolívar’s closest living relatives, Pedro, and Eduardo Mendoza Goiticoa lived in Caracas as of 2009. His eldest sister, María Antonia, married Pablo Clemente Francia and had four children: Josefa, Anacleto, Valentina, and Pablo. María Antonia became Bolívar’s agent to deal with his properties while he served as president of Gran Colombia and she was an executrix of his will. She retired to Bolívar’s estate in Macarao, which she inherited from him. 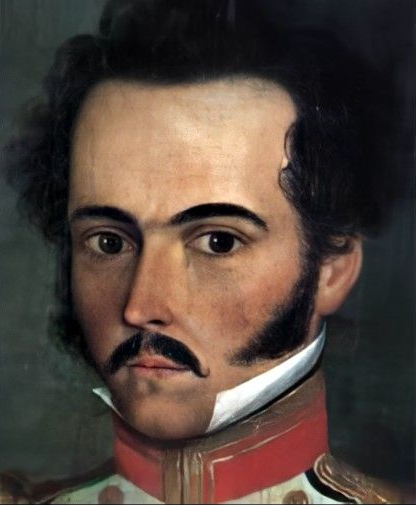 His older brother, Juan Vicente, who died in 1811 on a diplomatic mission to the United States, had three children born out of wedlock whom he recognized: Juan, Fernando Simón, and Felicia Bolívar Tinoco. Bolívar provided for the children and their mother after his brother’s death. Bolívar was especially close to Fernando and in 1822 sent him to study in the United States, where he attended the University of Virginia. In his long life, Fernando had minor participation in some of the major political events of Venezuelan history and also traveled and lived extensively throughout Europe. He had three children, Benjamín Bolívar Gauthier, Santiago Hernández Bolívar, and Claudio Bolívar Taraja. Fernando died in 1898 at the age of 88. Simón Bolívar was an admirer of both the U.S. and French Revolutions. :35, 52–53 Bolívar even enrolled his nephew, Fernando Bolívar, in a private school in Philadelphia, Germantown Academy, and paid for his education, including attendance at Thomas Jefferson’s University of Virginia. :71–72, 369 Bolívar differed, however, in political philosophy from the leaders of the revolution in the United States on two important matters. First of all, he was staunchly anti-slavery, despite coming from an area of Spanish America that relied heavily on slave labor. Second, while he was an admirer of U.S. independence, he did not believe that its governmental system could work in Latin America. Thus, he claimed that the governance of heterogeneous societies like Venezuela “will require a firm hand”. Bolívar felt that the U.S. had been established in land especially fertile for democracy. By contrast, he referred to Spanish America as having been subject to the “triple yoke of ignorance, tyranny, and vice”. :224 If a republic could be established in such a land, in his mind, it would have to make some concessions in terms of liberty. This is shown when Bolívar blamed the fall of the first republic on his subordinates trying to imitate “some ethereal republic” and in the process, not paying attention to the gritty political reality of South America. Among the books accompanying him as he traveled were Adam Smith‘s The Wealth of Nations, Voltaire‘s Letters and, when he was writing the Bolivian constitution, Montesquieu‘s The Spirit of the Laws. His Bolivian constitution placed him within the camp of what would become Latin American conservatism in the later nineteenth century. The Bolivian constitution intended to establish a lifelong presidency and a hereditary senate, essentially recreating the British unwritten constitution, as it existed at the time. How to govern ourselves after winning independence. It can be said that the Liberator exhausted his soul trying to find an answer to that question…Bolívar tried to avoid the extremes that would overwhelm Spanish America all along the nineteenth century and part of the twentieth. Tyranny or anarchy? ‘Do not aim at what is impossible to attain, because in the quest for liberty we may fall into tyranny. Absolute liberty always leads to absolute power and among these two extremes is social liberty’. In order to find this equilibrium, Bolívar proposed a ‘clever despotism’, a strong executive power able to impose equality there where racial inequality prevailed. Bolívar warned against an ‘aristocracy of rank, employment and fortune’ that while ‘referring to liberty and guarantee’ it would just be for themselves but not for levelling with members of lower classes’…He is the disciple of Montesquieu in his insistence that institutions have to be adapted to culture. Similarly to some others in the history of American Independence (George Washington, Miguel Hidalgo, José de San Martín, Bernardo O’Higgins, Toussaint L’Ouverture, Francisco de Paula Santander, Antonio Nariño, and Francisco de Miranda), Simón Bolívar was a Freemason. He was initiated in 1803 in the Masonic Lodge Lautaro, which operated in Cádiz, Spain., becoming involved with the Knights Templar. It was in this lodge that he first met some of his revolutionary peers, such as José de San Martín. In May 1806 he was conferred the rank of Master Mason in the “Scottish Mother of St. Alexander of Scotland” in Paris. During his time in London, he frequented “The Great American Reunion” lodge in London, founded by Francisco de Miranda. In April 1824, Simón Bolívar was given the 33rd degree of Inspector General Honorary. He founded the Masonic Lodge No. 2 of Peru, named “Order and Liberty”. In Venezuela, Bolívar left behind a militarist legacy with multiple governments utilizing the memory, image and written legacy of Bolívar as important parts of their political messages and propaganda. Bolívar disapproved the excesses of “party spirit” and “factions”, which lead to an anti-political environment in Venezuela. For much of the 1800s, Venezuela was ruled by caudillos, with six rebellions occurring to take control of Venezuela between 1892 and 1900 alone. The militarist legacy was then used by the nationalist dictatorship of Marcos Pérez Jiménez and more recently the socialist political movement led by Hugo Chávez. Outside of Latin America, the variety of monuments to Simón Bolívar are a continuing testament to his legacy. These include statues in many capitals around the world, including Algiers, Ankara, Bucharest, London, Minsk, Moscow, New Delhi, Ottawa, Paris, Prague, Port-au-Prince, Rome, Sofia, Tehran, Vienna and Washington. Several cities in Spain, especially in the Basque Country, have constructed monuments to Bolívar, including a large monument in Bilbao and a comprehensive Venezuelan government-funded museum in Cenarruza-Puebla de Bolívar, his ancestral hometown. An imposing bronze equestrian statue of Simón Bolívar at the entrance to Central Park at the Avenue of the Americas in New York City also celebrates Bolívar’s contributions to Latin America. The Bolivar Peninsula in Texas, Bolivar County, Mississippi, Bolivar, New York, Bolivar, West Virginia and Bolivar, Tennessee are also named in his honor. Monuments to Bolívar’s military legacy also comprise one of Venezuelan Navy’s sail training barques, which is named after him, and the USS Simon Bolivar, a Benjamin Franklin-class fleet ballistic missile submarine which served with the U.S. Navy between 1965 and 1995. Bolívar has been depicted in opera, literature, film, and other media, and continues to be a part of the popular culture in many countries. In 1943 Darius Milhaud composed the opera Bolívar. He is also the central character in Gabriel García Márquez‘s 1989 novel The General in His Labyrinth, in which he is portrayed in a less heroic but more humane manner than in most other parts of his legacy. In 1969 Maximilian Schell played the role of Simón Bolívar in the film of the same name by director Alessandro Blasetti, which also featured actress Rosanna Schiaffino. Bolívar’s life was also the basis of the 2013 film Libertador, starring Édgar Ramírez and directed by Alberto Arvelo. In an episode of the Spanish TV series The Ministry of Time, “Tiempo de ilustrados (Time of the Enlightened)”, the time agents help him win the heart of his future wife, as this was considered fundamental for Bolívar to fulfil his destiny. Later in the second season of the series the time agents will find him again in 1828 (two years before his death) to avoid his murder, planned by Santander’s followers. ^ “Por las venas del libertador corría sangre guanche, en efecto, su abuela materna, doña Francisca Blanco de Herrera, descendía de san martines, era nieta de Juana Gutiérrez, de “nación guanche”, y procedía además de otras familias canarias establecidas en Venezuela, tales como las de Blanco, Ponte, Herrera, Saavedra, Peraza, Ascanio y Guerra” (“Through the Liberator’s veins ran Guanche blood. In fact his maternal grandmother, Francisca Blanco de Herrera, was a descendant of the original Canarian people, as she was the granddaughter of Juana Gutiérrez, of “the Guanche nation”, and also came from other Canarian families established in Venezuela, such as Blanco, Ponte, Herrera, Saavedra, Peraza, Ascanio and Guerra. “). Hernández García, Julio: Book “Canarias – América: El orgullo de ser canario en América” (Canarias – America: The pride of being a Canario in America). First edition, 1989. Historia Popular de Canarias (Popular History of the Canary Islands). ^ “Bolivar.” Collins English Dictionary online. Retrieved 20 January 2019. ^ quoted in Jeremy Adelman, “Independence in Latin America” in The Oxford Handbook of Latin American History, José C. Moya, ed. New York: Oxford University Press 2011, p. 153. Museo Simon Bolivar, Cenarruza-Puebla de Bolívar, Spain. ^ “LatinAmericanHistory.about.com”. LatinAmericanHistory.about.com. 14 February 2012. Retrieved 9 April 2012. ^ “Octagon Museum – Curaçao Art”. Bushnell, David. The Liberator, Simón Bolívar. New York: Alfred A. Knopf, 1970. Print. ^ Robert, Pascal, ed. (1982). “U.S. Owes Haitian Gratitude, Not Abuse”. The Crisis. Retrieved 15 September 2015. ^ Allen, Alexander, ed. (9 July 2013). “The Importance of Haiti”. Huffington Post. Retrieved 15 September 2015. ^ Monroy, Ramón Rocha (5 June 2009). “Ultimas cartas de Sucre” (in Spanish). Bolpress. ^ Cardoza Sáez, Ebert (2015). “El caudillismo y militarismo en Venezuela. Orígenes, conceptualización y consecuencias”. Procesos Históricos (28). ISSN 1690-4818. ^ “Triunfo de la Independencia”. pares.mcu.es (in Spanish). 4 December 2015. Retrieved 15 August 2017. ^ “Resistencias e intentos de reconquista”. pares.mcu.es (in Spanish). 4 December 2015. Retrieved 15 August 2017. Bolívar, Simón (1983). Hope of the universe (print ed.). Paris: UNESCO. Simón Bolívar entry on Find a Grave.com. Forero, Juan (23 February 2008). “Chávez, Assailed on Many Fronts, Is Riveted by 19th-Century Idol”. The Washington Post. Retrieved 17 July 2010. ^ “Bolivar and Chavez a Worthy Comparison”. Council on Hemispheric Affairs. 11 August 2011. Archived from the original on 30 March 2012. Retrieved 9 April 2012. “Doctors Reconsider Health and Death of ‘El Libertador,’ General Who Freed South America”. Science Daily. 29 April 2010. Retrieved 17 July 2010. Allen, Nick (7 May 2010). “Simon Bolivar died of arsenic poisoning”. The Telegraph. Retrieved 17 July 2010. ^ James, Ian (16 July 2010). “Venezuela opens Bolivar’s tomb to examine remains”. MSNBC. Archived from the original on 20 July 2010. Retrieved 16 July 2010. ^ Girish Gupta (26 July 2011). “Venezuela unable to determine cause of Bolivar’s death. And that’s how the story ends”. Christian Science Monitor. Retrieved 29 June 2013. ^ Lovera De-Sola, R.J. (2 July 2011). “Manuelita Sáenz Apócrifa”. www.arteenlared.com (in Spanish). Archived from the original on 16 November 2016. Retrieved 29 January 2017. ^ Slatta, Richard W. Simón Bolívar’s Quest for Glory. Texas A&M University Press, 2003. Print. Peru de Lacroix, Luis (2009). Diario de Bucaramanga (PDF) (print ed.). Caracas: Ministry of Popular Power for Communication and Information. ^ a b Marx, Karl (1858). “Bolivar y Ponte”. marxists.org. Retrieved 18 August 2010. First published in the New American Cyclopedia, Vol. III, 1858. ^ Marx, Karl. “Bolivar y Ponte”. www.marxists.org. De-Sola Ricardo, Irma, “Bolívar Palacios, Juana” in Diccionario de Historia de Venezuela, Vol. 1. Caracas: Fundación Polar, 1999. ISBN 978-980-6397-37-8 also reproduced in Simón Bolívar.org, Biografías Familiares de Simón Bolívar Archived 8 March 2009 at the Wayback Machine at Simón Bolívar, el hombre. De-Sola Ricardo, Irma, “Bolívar Palacios, María Antonia” in Diccionario de Historia de Venezuela, Vol. 1. reproduced] Archived 8 March 2009 at the Wayback Machine. Fuentes Carvallo, Rafael, “Bolívar, Fernando Simón” in Diccionario de Historia de Venezuela, Vol. 1. reproduced in  Archived 4 September 2015 at the Wayback Machine. ^ Martinez, Carlos Antonio Jr. “Simon Bolivar, Liberator & Freemason”. Masons of California. Archived from the original on 13 August 2011. Retrieved 23 January 2015. ^ “Famous Freemasons in the course of history”. Unmerged Lodge St. John’s No. 11 F.A.A.M., Washington D.C. Archived from the original on 16 November 2015. ^ “List of notable freemasons”. Archived from the original on 25 September 2018. ^ “17 Of The Most Influential Freemasons Ever”. businessinsider.com. 20 March 2014. Archived from the original on 22 November 2015. Retrieved 30 September 2018. Martin, Stephen (5 October 2009). “Hugo Chavez presents Simon Bolivar”. VenezuelAnalysis. Retrieved 9 April 2012. Halvorssen, Thor (25 July 2010). “Behind exhumation of Simon Bolivar is Hugo Chavez’s warped obsession”. The Washington Post. ^ Solar, Igor I. (6 May 2013). “History and tragedy at Bolívar Square in Bogotá, Colombia”. www.digitaljournal.com. Retrieved 17 February 2019. ^ Pino, David (10 October 2010). “El Monumento a Simón Bolívar”. Lima la Única. Retrieved 17 February 2019. ^ “Equestrian statue of Simon Bolivar in Buenos Aires Argentina”. Equestrian statues. 3 November 2016. Retrieved 17 February 2019. ^ “Statue of Simón Bolívar | Havana, Cuba Attractions”. www.lonelyplanet.com. Retrieved 17 February 2019. ^ Dixon, Seth (12 August 2010). “Making Mexico More “Latin”: National Identity, Statuary and Heritage in Mexico City’s Monument to Independence”. Journal of Latin American Geography. 9 (2): 119–138. doi:10.1353/lag.2010.0005. ISSN 1548-5811. ^ “Simón Bolívar Monument in Casco Viejo, Panama City, Panama”. Encircle Photos. Retrieved 17 February 2019. ^ Suriname. “Suriname – Paramaribo”. www.suriname.nu (in Dutch). Retrieved 17 February 2019. ^ “Monument Zu Simon Bolivar In San Jose, Costa Rica Redaktionelles Foto – Bild von ernstlich, hauptsächlich: 67414231”. de.dreamstime.com (in German). Retrieved 17 February 2019. ^ Hora, Diario La. “Simón Bolívar, un sueño cumplido – La Hora”. La Hora Noticias de Ecuador, sus provincias y el mundo (in Spanish). Retrieved 17 February 2019. ^ “Simon Bolivar Monument In Casa De Libertad, Sucre Editorial Stock Photo – Image of building, bolivar: 109958888”. www.dreamstime.com. Retrieved 17 February 2019. ^ “10 Events You Can’t Miss While Working in Colombia”. Bogotá Business English. 27 September 2017. Retrieved 17 February 2019. ^ “Alger – Bab El Oued – Buste de Simon Bolivar – Algérie”. Routard.com (in French). Retrieved 17 February 2019. ^ “Ambasada Venezuelei la Bucureşti aduce onoruri Eliberatorului Simón Bolívar şi oferă un discurs despre Venezuela ca punte de legătură între Alba şi Mercosur”. Ambasada Republicii Bolivariene Venezuela în România. 17 December 2014. Archived from the original on 18 January 2019. Retrieved 17 February 2019. ^ “Simon Bolivar statue”. London Remembers. Retrieved 17 February 2019. ^ “Mir Castle As Gift And Bust Of Bolivar – 5 Highlights Of Venezuela President’s Visit To Belarus”. BelarusFeed. 6 October 2017. Retrieved 17 February 2019. ^ “Newest square in Delhi honours revolutionary Simon Bolivar”. The Hindu. 20 April 2016. Retrieved 17 February 2019. ^ “Simon Bolivar – Ottawa, Ontario – Statues of Historic Figures on Waymarking.com”. www.waymarking.com. Retrieved 17 February 2019. ^ “Au Cours la Reine, des statues glorifiant des personnages illustres : Simon Bolivar, le Marquis de La Fayette, Albert 1er des Belges”. Histoires de Paris (in French). 24 July 2015. Retrieved 17 February 2019. ^ “Simón Bolívar, Interbrigade square, Prague, Czech Republic – Statues of Historic Figures on Waymarking.com”. www.waymarking.com. Retrieved 17 February 2019. ^ “Equestrian statue of Simon Bolivar in Rome Italy”. Equestrian statues. 6 April 2016. Retrieved 17 February 2019. ^ “Venezuela Opens Monument of Simon Bolivar in Bulgaria’s Sofia – Novinite.com – Sofia News Agency”. www.novinite.com. 19 April 2010. Retrieved 17 February 2019. ^ “Statue of Venezuela’s founding father unveiled in Tehran in presence of Chavez”. Payvand. 28 November 2004. Retrieved 18 February 2019. ^ “Simon Bolivar, der Befreier. Denkmal im Donaupark”. meinbezirk.at (in German). 24 September 2015. Retrieved 17 February 2019. ^ “National Mall and Memorial Parks—American Latino Heritage: A Discover Our Shared Heritage Travel Itinerary”. www.nps.gov. Retrieved 17 February 2019. ^ “El Monumento De Simon Bolivar En La Plaza Venezuela En Bilbao, España Foto de archivo – Imagen de configuración, día: 122645546”. es.dreamstime.com (in Spanish). Retrieved 17 February 2019. ^ “Ziortza-Bolibar, el origen de Simón Bolívar – Ziortza-Bolibar, el pueblo en el que se forjo el inicio de la historia del “Libertador de las Américas““. Turismo País Vasco (in Spanish). 29 December 2016. Retrieved 17 February 2019. ^ “Central Park Monuments – Simon Bolivar Monument : NYC Parks”. Nycgovparks.org. Retrieved 5 February 2014. ^ “(712) Boliviana”. (712) Boliviana In: Dictionary of Minor Planet Names. Springer. 2003. p. 69. doi:10.1007/978-3-540-29925-7_713. ISBN 978-3-540-29925-7. Grant, Will (5 July 2010). “Venezuela honors Simón Bolívar’s lover Manuela Saenz”. BBC. Retrieved 17 July 2010. Petre, Francis Loraine (1910). Simon Bolivar “El libertador”: a life of the chief leader in the revolt against Spain in Venezuela, New Granada & Peru. J. Lane. Slatta, Richard W.; de Grummond, Jane Lucas (2003). Simón Bolívar’s Quest for Glory. Texas A&M University Press. ISBN 978-1-58544-239-3. Gómez Martínez, José Luis. “La encrucijada del cambio: Simón Bolívar entre dos paradigmas (una reflexión ante la encrucijada postindustrial)”. Cuadernos Americanos 104 (2004): 11–32.